Not a happy bunny as I've been feeling rather icky for several days and am stuck at home in my pjs. 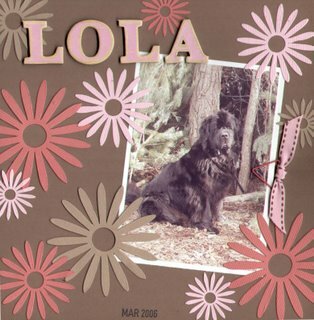 Thought I'd share a LO i did a few days age featuring Lola at her soggy best! I really am in love with my fastenator and can't stop using him! I've actually embraced a selection of my fave fabby toys on this one. As well as the fantastic Fastenator, i've used my MM tag maker and my beloved Craft Robo! Me and my big shot flowers! After buying one of the thick cuts flower dies from First Class Crafts, I had to have a quick play on this LO. Just a quickie, but quite satisfying! It's an 8x8 so the flowers aren't as huge as they look on here but they are still fab! 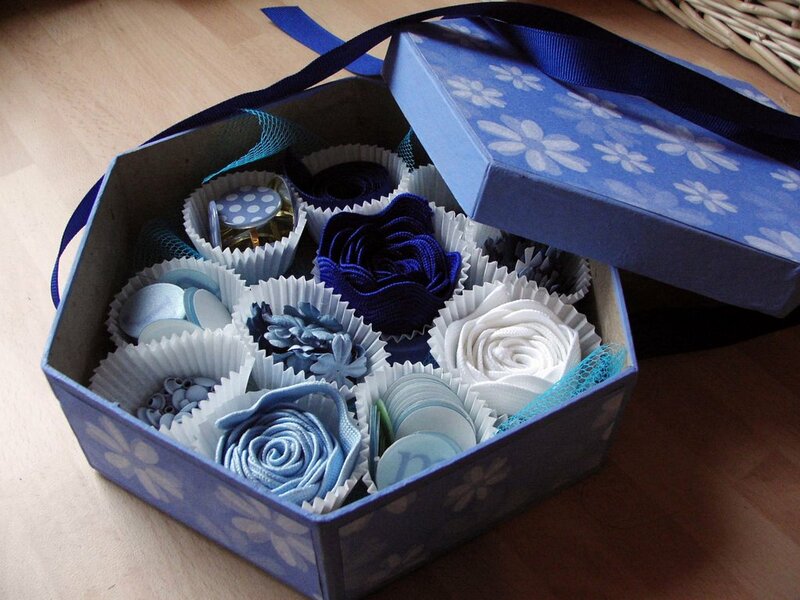 Had a fab time over at the First Class Crafts open day! Got there early and managed to pick up a few Prima bargains (as if I need more?!) as well as some yummy new KI Memories papers. Planning a page later with the new Thick Cuts flower die that I also picked up! Will upload once I've completed! Made a quick choc box style present of various embellishements as part of Mum's birthday presents from yesterday... She seemed to like it! I was inspired by the recent Doodlebug ads from last month. Well it was quite an effort actually scrapping a picture of myself, but i've done it! Went to the Scraporium today for the half price closing down sale! Couldn't resisit half price Bazzill and Basic Grey! What a shame another bricks and mortar shop is closing. Although I love shopping on line, nothing beats getting up close to the stash! 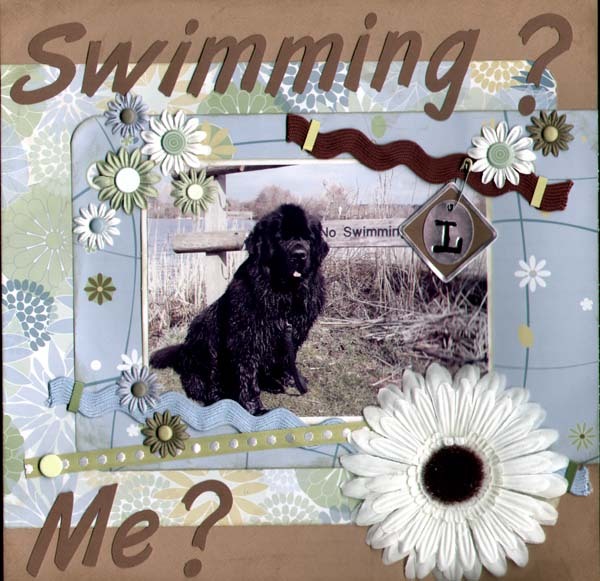 I've promised myself I'll attempt to have a go at Kirsty's (wanna_scrap?) 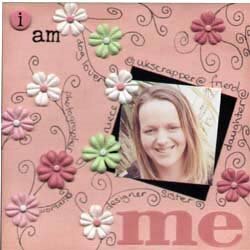 challenge to scrap a 6 x 6 page of myself. You can find her blog here... I have only rarely included myself in my work (although there is a page of me in the next mag!) so this will be quite a challenge. Not the least of which will be finding a fairly recent photo of me! It's very likely it'll have to be a pic of me with one of the girls! Lola had a ball showing off at training last night, she's really getting to like a tiny black poodle puppy.... Quite cute with them both sitting together, although I'm slightly worried she'll sit on it by mistake! Must take the camera next week! Thanks for all the comments so far, but pleeeeese leave your name rather than hiding away as anonymous! Well I bit the bullet and created my own blog... 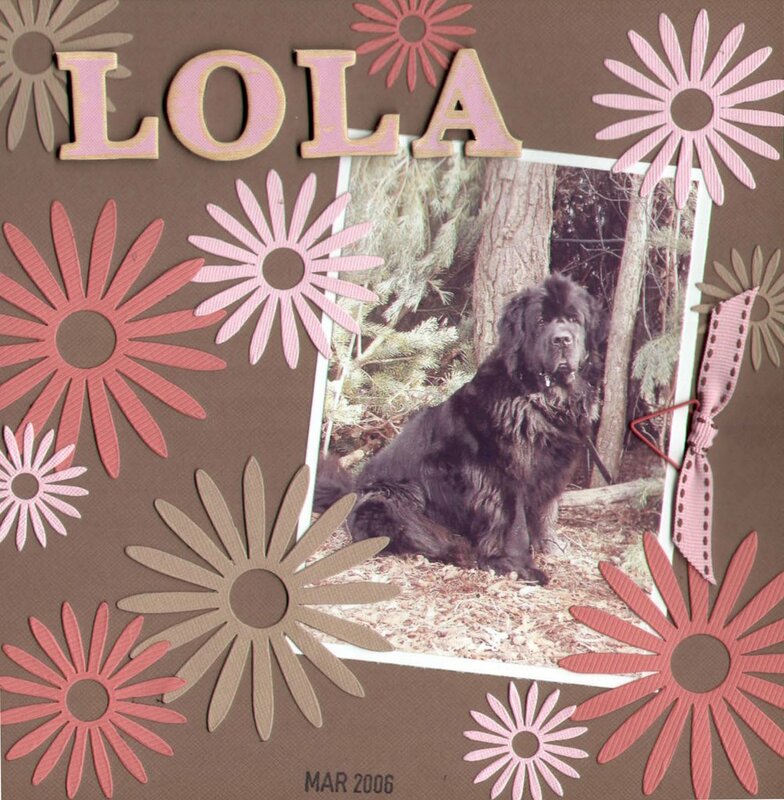 I can't promise to have something inspiring to say every day, but you can be sure there will be a little bit of scrapbooking and a whole lot of Newfies! Often together! I'm still getting over an exhausting day up at Crufts on Thursday! 6 hours driving isn't my idea of fun although I did discover the rather fabulous Moto M&S on the M40. This fab place even has a doggy refreshment area! 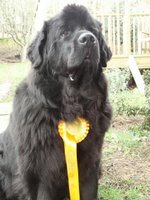 Lola was a little star at the show, dutifully looked cute and demure as all the punters stopped for a stroke and had a great time eyeing up all the boy newfies! 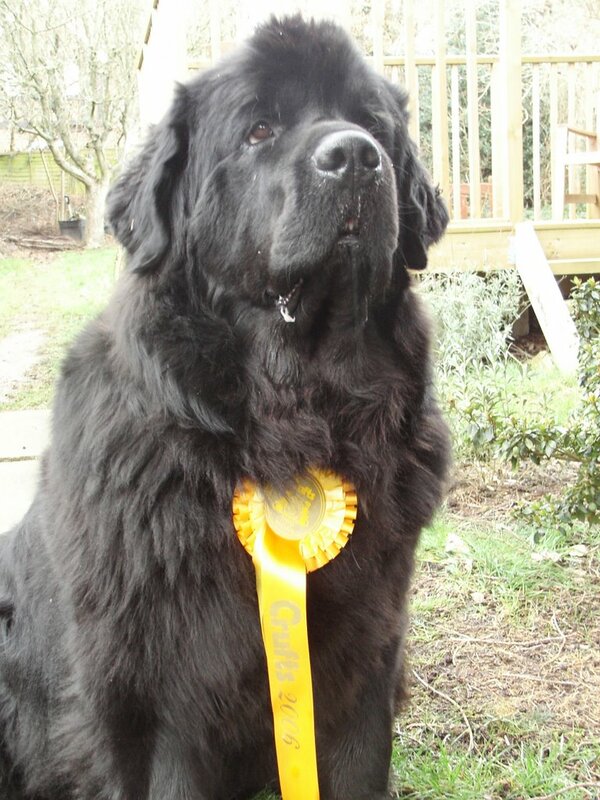 She took third place in her class so we came away rather pleased!